Different people may want to check upgrade process. Track upgrade history for further trouble shooting. We can do one command deployment. Monitoring system is properly configured. 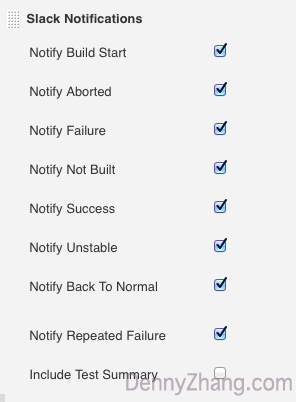 Thus we can wrap up the deployment automation scripts as a Jenkins job. And enable slack Jenkins plugin. 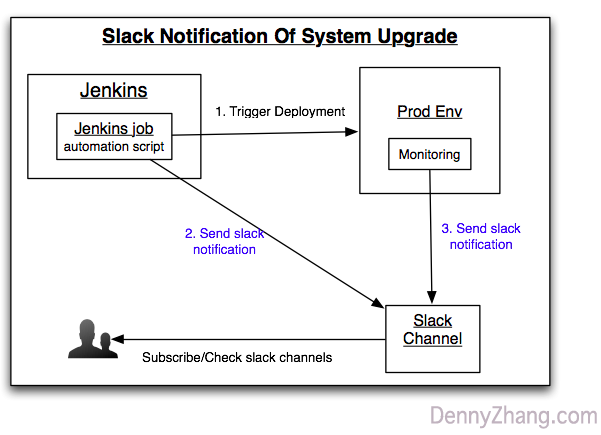 Then configure the job to send slack notifications, whenever the job starts or ends. Another question people will constantly ask: how healthy my env is? Here we rely on monitoring system. 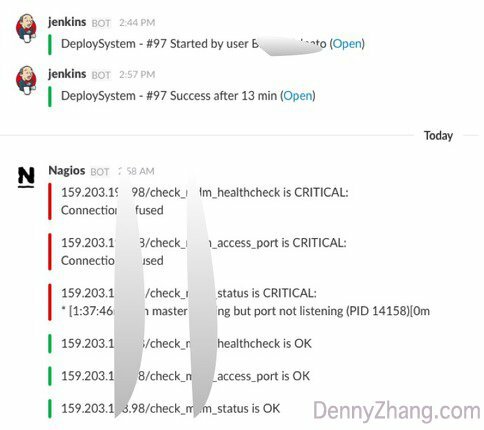 So we can ask monitoring to send out slack notifications for all major issues. Put it all together, here comes a demo. Now when people want to get more information about prod upgrade, it’s much easier. Just subscribe or check slack channels.